The Department of Economics was started in 1975 along with the establishment of A.G&S.G. Degree College. Sri. 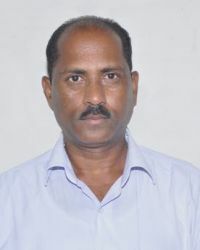 K. Chandrasekara Rao joined as the First member of the Faculty and worked as the Head of the Department of Economics up to his retirement on 30-06-2004. Presently he is a Guest Faculty of this Department . 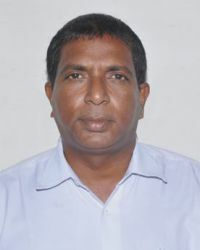 Sri K. V.V. Satyanarayana,RJD,Board of Intermediate Education, A.P. was a former lecturer of this Department. He worked here up to1980. Sri B. Brahmendra Rao joined as Junior Lecturer and promoted as Lecturer in the year 1981 in this Department. He was worked as H.O.D from 2004 June to 2011 and he was promoted as prinicpal in the year 2012 january and he worked as prinicpal upto 2013 june. Sri N. Rama Rao an ad-hoc Lecturer in economics is also working in the Department from 2005-06. Sri G.S.S.Singh redeployed from national college machilipatnam and joined here as H.O.D of economics on 24-5-2013and continuing his services. 4. A Guest lecture on LIC of India date 17-07-2015 lecture given by Sri R.Mario general manager LIC of India, Vuyyuru. 1. The Department of Economics conducted historical tours for B.A students on 07-02-2013 to Warangal along with history department. 2. The Department of Economics conducted historical tours for B.A students on 14-01-2014 to Amravati with the cooperation of history department. 3. The Department of Economics organized a historical tour for B.A students on 26-02-2015 to Hamsala Deevi with the cooperation of history department. 1. Sri G.S.S.Singh Lecturer in Economics (HOD) attended today National Conference on “Human Rights and Review” sponsored by UGC DAR College, Nuzividu on 17th and 18th Dec 2014. 2. Sri G.S.S.Singh Lecturer in Economics (HOD) attended today National Conference on “Human Values and Professional Ethics” sponsored by UGC Govt.Degree college, Thiruvuru on 21st and 22nd Aug 2014. 3. Sri G.S.S.Singh Lecturer in Economics (HOD) attended today UGC National seminar on “Status of women in India” during 20th century- a historical perspectives DAR college, Nuzividu. 4. Sri G.S. S Singh Lecturer in Economics (HOD) attended today seminar on “Importance of Human Rights in Democracy” S.V.R . College, Nagaram 20th and21stSep 2013. 5. Sri G.S.S.Singh Lecturer in Economics (HOD) attended one day UGC National seminar “Women reservation Bill” VSR&NVR College, Tenali. 25th Feb 2014. 6. Sri G.S.S.Singh Lecturer in Economics (HOD) attended today UGC National seminar on “Skill Development in A.P” S.V.R.M College, Nagaram.Dated on 18th, 19th July 2014. 7. Sri G.S.S.Singh Lecturer in Economics (HOD) attended today UGC National seminar on “Agrarian Issues and challenges in A.P” Acharya Nagarjuna University Dated on 22nd and 23rd March 2014. 8. Sri G.S.S.Singh Lecturer in Economics (HOD) attended today UGC National seminar on “An Evolution of Indian Constitutional” 12th and 13th Aug 2014,J.M.J College for womens, Tenali. 9. Sri G.S.S.Singh Lecturer in Economics (HOD) attended today UGC National seminor on “Magnitude of Corruption Agencies MAP” 1st and 2nd Aug 2014,Sri velagapudi Rama Krishna Memorial college,Nagaram,Gunturu. 10. Sri G.S.S.Singh Lecturer in Economics (HOD) attended today UGC National seminar on “Women Education in India Challenges and Solutions” 2 days UGC seminar attended NobleCollege, Machilipatnam, Dated on 13 and 14 Feb 2015. 11. Sri G.S.S.Singh Lecturer in Economics (HOD) attended today UGC National seminar on “Human Values and Professional Ethics and Society” K.B.N College, Vijayawada, Dated on 24th and 25th July 2015. 12. Sri G.S.S.Singh Lecturer in Economics (HOD) attended today The Andhra Pradesh Economics Association seminar on impact of“Demonetization on Indian Economy” on 28th & 29th March 2018. 1. Sri N.RamaRao Lecture in Economics attended today UGC seminar on “Status of women in India during 20th century on historical perspective “DAR college, Nuziveedu dated on 6th and 7th sep 2013. 2. “Importance of Human Right in Democracy “today 20th 21st 2013 Sep, S.V.R.M College, Nagaram. 3. “Women Reservation Bill “one day seminar on 25th Feb 2014.VSR and NVR College, Tenali. 4. “Skill Development in A.P” today seminar 18 and 19 July 2014. S.V.R.M College, Nagaram, Gunturu. 5. “Magnitude of Corruption” - Role of Anti Corruption Agencies in AP. Dated one day seminar 2nd Aug 2014. S.V.R.M College, Nagaram. 6. The Andhra Pradesh Economics association seminar on “Impact of Demonetization on Indian Economy “28th and 29th March 2018, S.V.R.M College, Nagaram, Gunturu . 1. Sri G.S.S.Singh Lecturer in Economics attended one week work shop programme sponcered UGC on’Quality Improvement in Higher Education” at Sir CR Reddy Autonomous College-CPE,Eluru.Dated on 18th Aug to 24Th Aug 2016. 2. U.G.C sponcered one week work shop programme on “Human Values and Professional Ethics” held from 17th to 23rd Sep 2016.at S.S & N College,Narasaraopet. 3. The Department of Arts in AG & SGS Degree College organized two days national level seminar. 5. Paper published by human rights in india dated Dec 2014. 6. Paper published by relevance of nehruvian thoughts today dated Aug 2014.